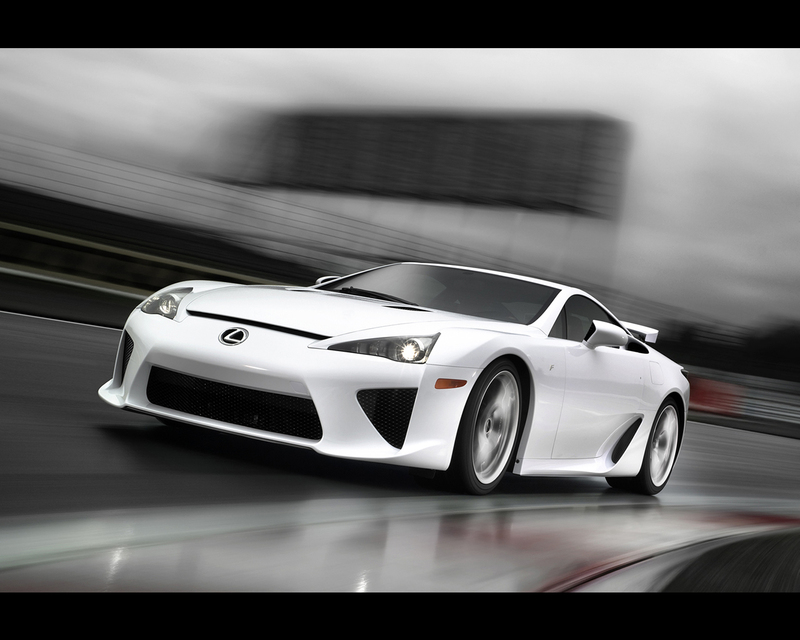 The green light for the development of the Lexus LFA supercar was given in year 2000. Concept cars for coupé and even roadster version appeared at several Motor Show in 2006 and later. 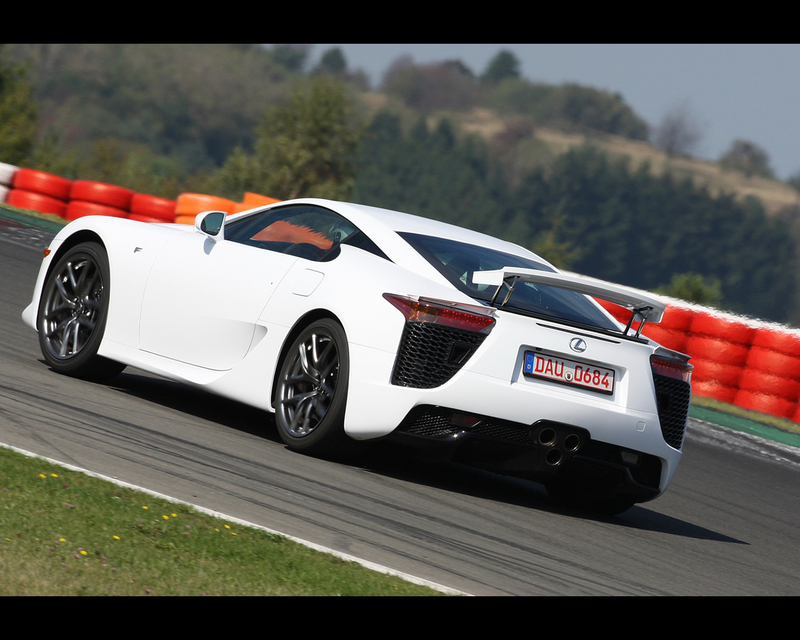 Two Lexus LFA specially prepared for endurance racing, participated at the 24 Hours of Nurburgring in 2008 and 2009 as part of the development process. 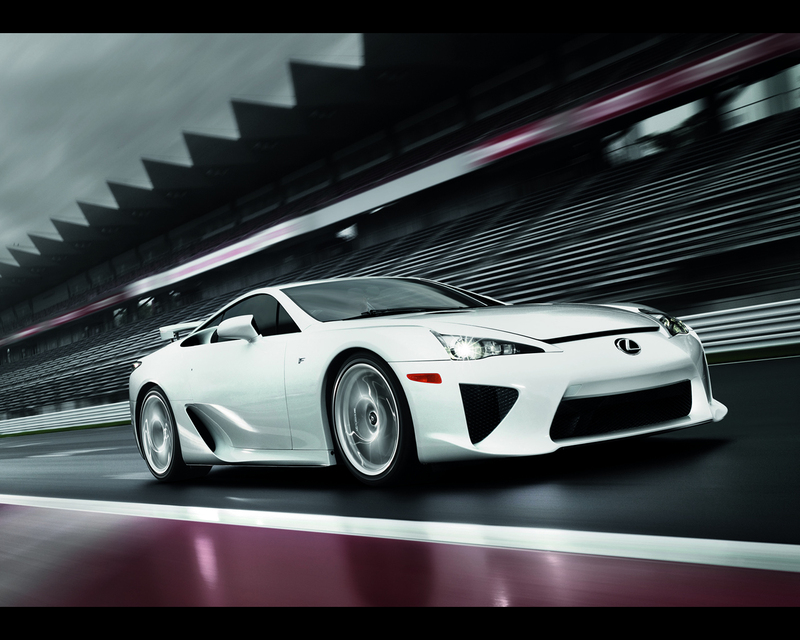 Finally, at 2009 Tokyo Motor Show the production version of the Lexus LFA is officially unveiled. Only 500 units will be produced and sold between 2010 and 2012. Suggested price is 375.000 Euros. Claimed performances for this two seater include a top speed of 325 kph and a standing start 0 to 100 kph (62 mph) in 3,7 seconds. 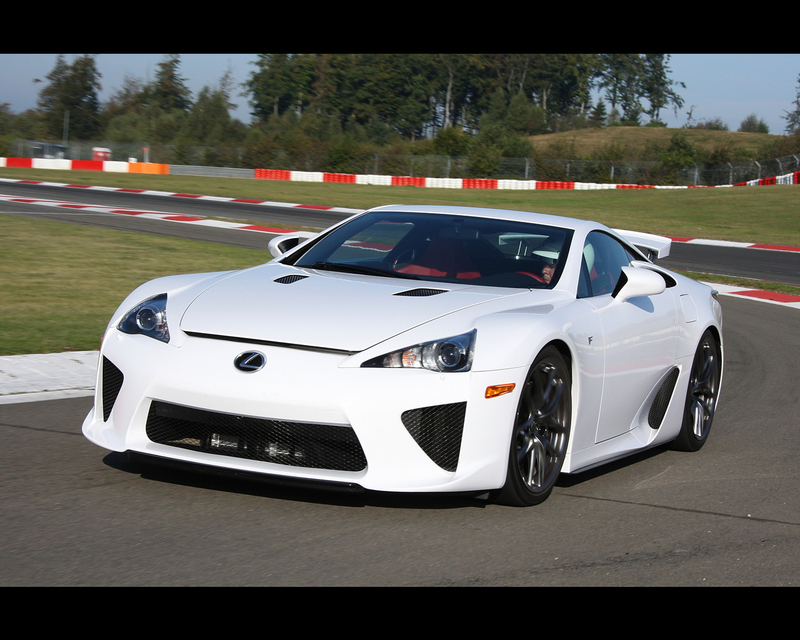 The newly developed 4,8 litre V10 engine boasts 560 hp/ 412 kW at 8.700 rpm and a maximum torque of 480 Nm at 6.800 rpm. 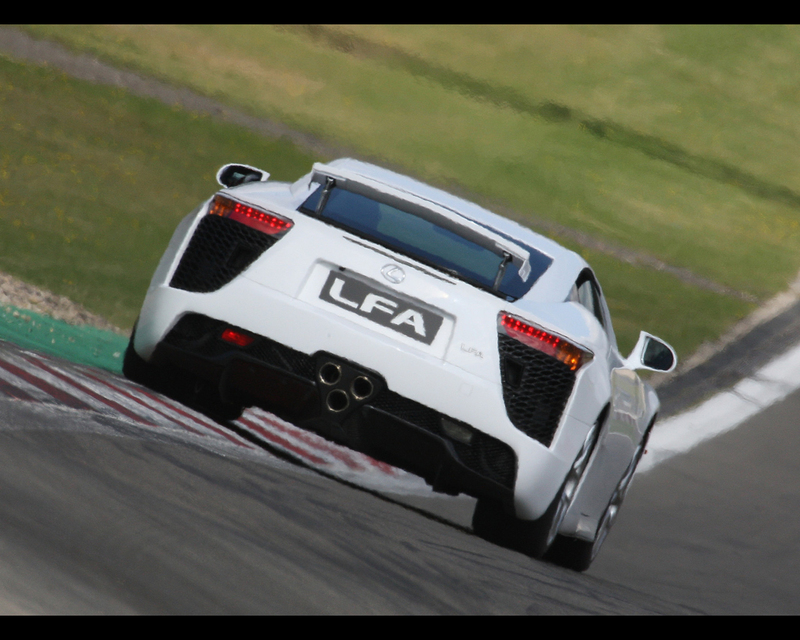 The LFA purpose built V10 delivers 90% of its peak torque between 3.700 and 9.000 rpm where the readline stands. Titanium valves, ultra-light weight rocker arms with a diamond-like coating and fully integrated lower crankcase are part of the specification of this new V10. It comes with dry sump lubrication for a low positioning mid-front while the six-speed Automated Sequential Gearbox is mounted in front of the rear axle allowing for a 48/52 weight distribution. The front engine and rear transaxle are connected through a rigid torque tube, creating a flex free link between engine and transmission. The cooling system for the engine has two radiators at the rear of the vehicle. There is a large heat tunnel that runs from the front of the chassis and out the rear of the vehicle via twin heat ports below the tail lamps. A large capacity centrifugal pump is mounted low on the back of engine and feeds the radiators through large light-weight aluminium plumbing. Track sized high performance Carbon Ceramic Material brake discs and electronically controlled braking system generate the braking. Large front ducts under each front lamps cool the front brakes while lateral air scopes take care of the rear brakes. 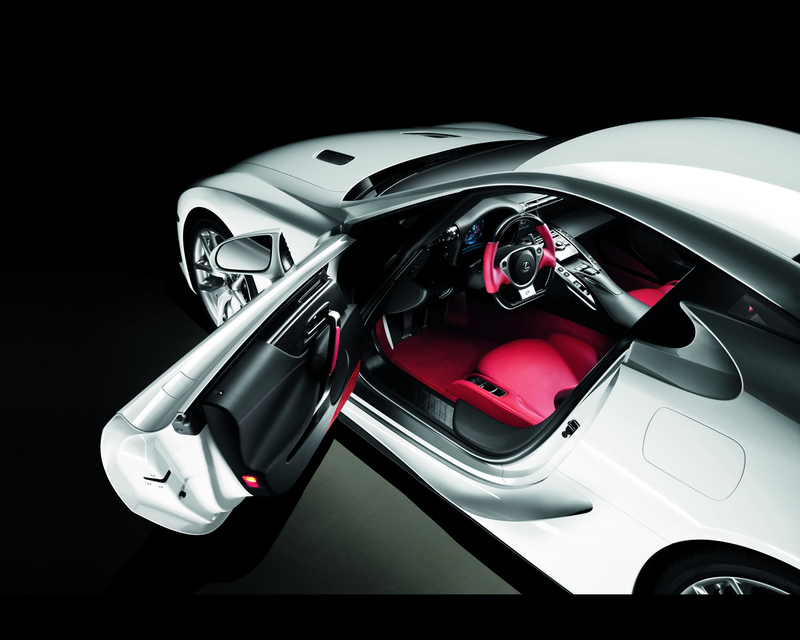 A double-wishbone front and multi-link rear suspension layout has been implemented with light alloy aluminium elements. 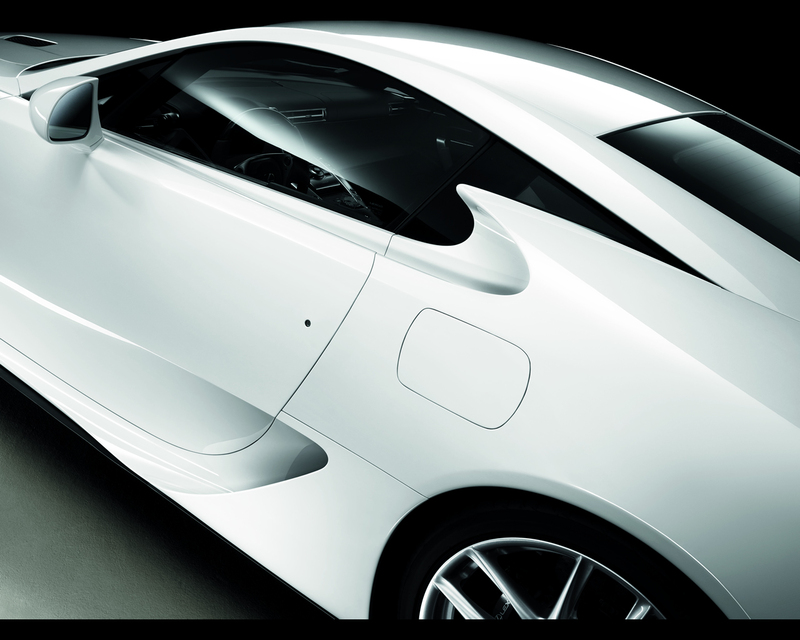 Detailed aerodynamic engineering results in elements such as a flat underbody, a diffuser and a speed-controlled rear wing. 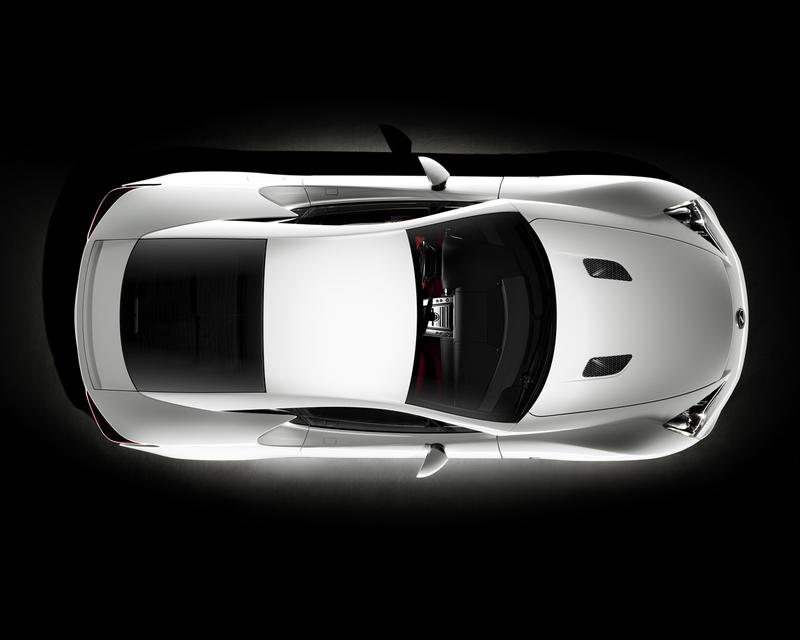 The development in details includes the engine sound refinement with exhaust line fine-tuned like musical equipment prepared for an orchestra; equal-length exhaust manifolds combined with an equal-length dual exhaust system routed through a multistage titanium main muffler fine tunes the exhaust note. An acoustically tuned surge tank linked to 10 individual throttle bodies creates a powerful induction sound. The coordination of intake and exhaust sounds overlap at various RPM to create a unique soundtrack. 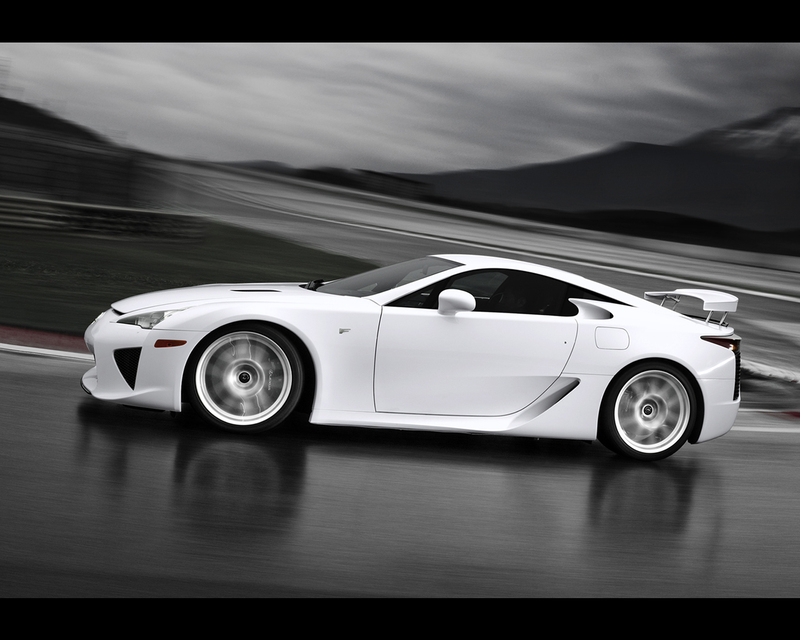 Beginning in December 2010 at the LFA Works facility at the Motomachi manufacturing plant in Toyota City, Japan, each Lexus LFA will be hand-built by a team of highly skilled craftsmen. 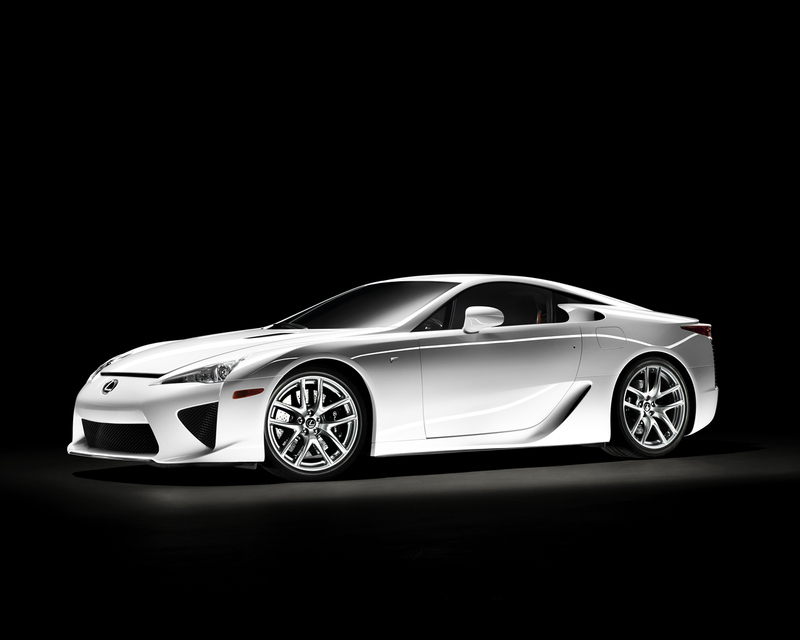 LFA will then be produced at a maximum rate of only 20 per month. 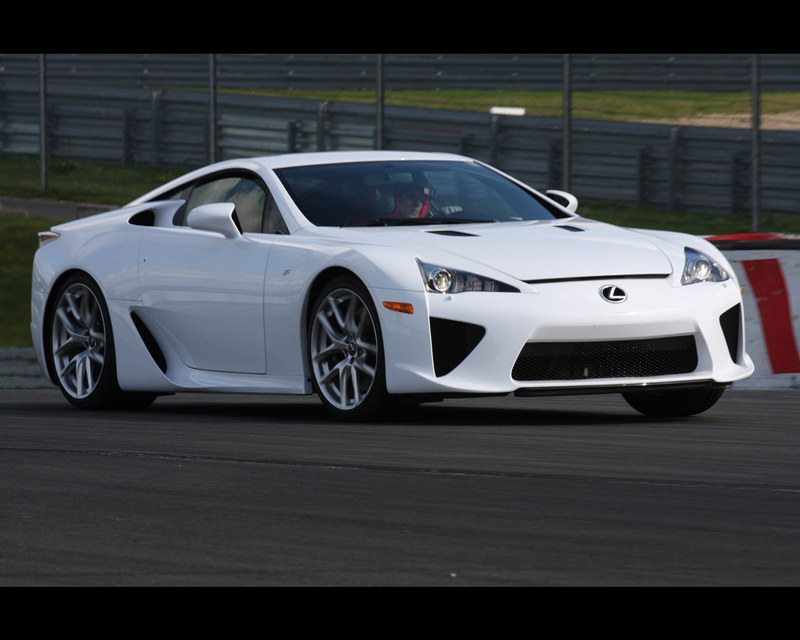 In addition, the heart of each LFA, the 4,8 L V10 engine, will be assembled by a single engineer and a metallic label bearing his signature will be attached to the left cylinder head of each engine. Finally, upon completion of each LFA's assembly and functional check, each unit will be affixed its own placard indicating its unique build sequence among the very limited five hundred units that will ever be produced.